In recent years, the issue of Grandparent's rights to visitation in divorce has come to the forefront. Sadly, what will often happen in divorce are the parents of the non-custodial parent end up cut off from their grandchildren. This may be especially true if the grandparents and grandchildren live a far distance from each other. Grandparent's rights have become a controversial issue. On the one hand why should grandchildren be denied time with a grandparent because their parents no longer live together or are getting a divorce? Conversely, at what point does the intervention of the courts infringe upon a person's civil liberties? People going through a divorce often feel that they have little or no control over their lives anymore. It seems the court system takes over their life, telling them how to live, where to live, how much money to live on and on. Exactly what is visitation? To put it into its simplest form, visitation is when the court sets a specific schedule for a person to have access to the child. In other words in the case of grandparent's visitation the court will order that the children be made available to the grandparent on specific day for a specified amount of time. Unfortunately, just because a grandparent is being denied access to their grandchild does not necessarily mean they will qualify for court ordered visitation. 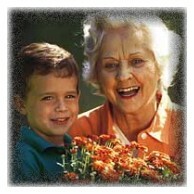 Grandparent visitation is governed by statute and case law, and each state has their own laws. During a divorce, communications between all the parties often breaks down. Every effort within reason should be made to have time with the grandchild before court papers are filed. Mediation is one option available before filing papers. Filing in the courts for visitation should be the last resort. As you can see, this is a complicated issue. 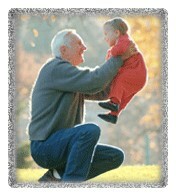 If you are a grandparent that is being denied time, without good reason, you have a big decision to make. Once the decision to pursue visitation the next step is to find a professional that specializes in third party custody and visitation.